Patricia Ann Blasi, daughter of the late John M. Blasi and Mary (O’Donnell) Blasi, was born on May 2, 1942 in Manhattan, New York and died on November 27, 2018 at Chicora Medical Center in Chicora, PA.
Pat started out her career in New York at Columbia Artists, and then briefly worked in the travel industry and several restaurants. She also drove a New York City cab. She then moved to Falls Church, Virginia and worked as an apartment complex manager for a short while before becoming employed by Image Photography as an office manager for the next 5 years. In July of 1996, Pat was employed by The National Institute of Building Sciences in Washington, D. C., and was promoted to Administrative Assistant for the Vice President of Building Seismic Safety Council and Multi Hazard Mitigation. She retired on May 31, 2005, and moved to Butler, PA shortly thereafter. 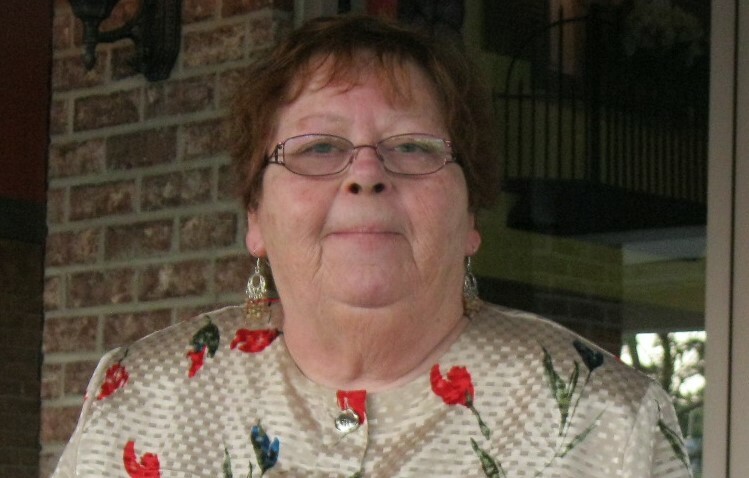 Pat was an active member of her church and The Catholic Daughters of America Court #443 in Butler, PA. She was also an active member of The Red Hat Society. For those who knew and loved her, you knew she was a kind hearted soul, who dedicated her life to helping others. She had a heart of gold! And will be greatly missed. She was preceded in death by her brother, John W. “Bill” Blasi and her sister in law Joan (Palmieri) Blasi; and her two sisters Rosemary (Blasi) Palmieri, and Marcella (Blasi) Moravek and brother in law William “Bill” Moravek. Survivors include her nephews Frank Blasi and his wife Linda of Lake Murray, SC, William “Billy” Moravek and his wife Manet of Bluemont, VA, and Peter Moravek and his wife Mary of Warrenton, VA. Nieces Joan (Blasi) Swift and her husband Steve, Veronica (Blasi) Edwards and her husband Al, Barbara Blasi, and Darilyn (Moravek) Harding and her husband Steve. Seventeen Great nephews and great nieces, and twenty-seven great grand nephews and great grand nieces combined. Friends will be received at the Geibel Funeral Home, 201 East Cunningham Street, Butler, from 2-4 and 6-8 p.m. Monday. A Mass of Christian Burial will be celebrated on Tuesday, December 4, 2018 at 10:00 a.m. at St. Paul Roman Catholic Church, 128 North McKean Street, Butler.